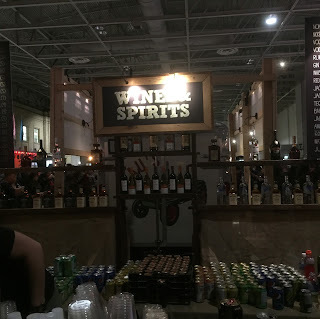 My first beer festival of the year was Winter Brewfest held at the Enercare Centre by Exhibition Place. It was Toronto's first year for the event, so I'm glad I went on Saturday, so the kinks could get worked out on Friday. 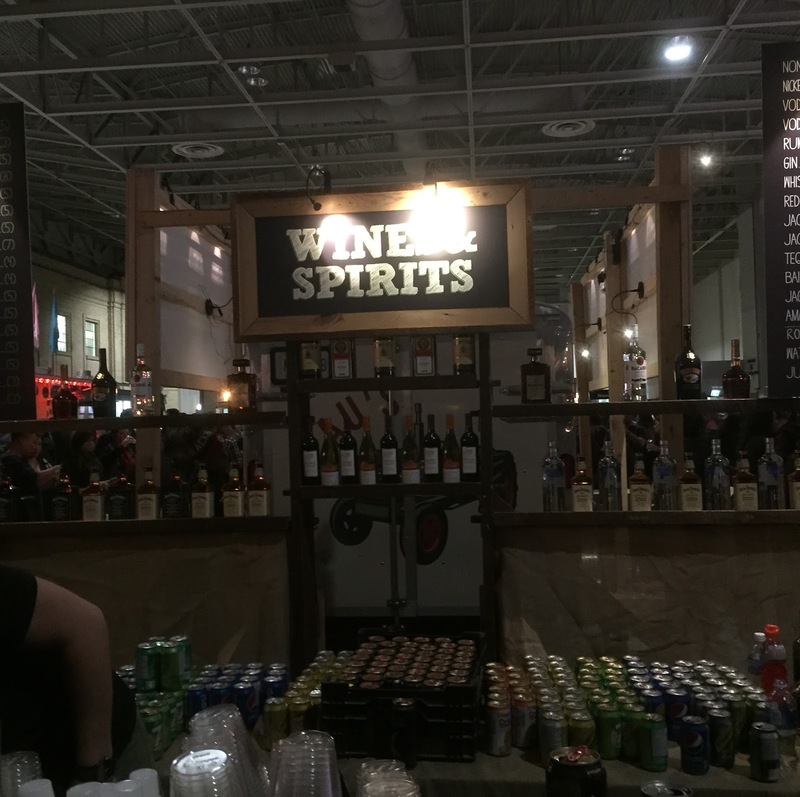 There were 8 breweries with their own booths, a spirit & wine bar, a giant keg as well as casks and 2 bar style spots, one for Ontario and one for Quebec. 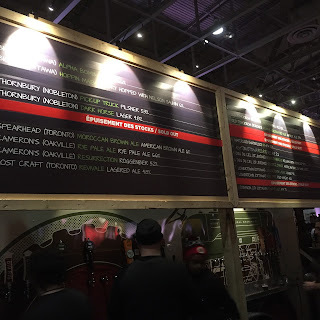 Instead of all of the breweries having their own booth, they were able to showcase many more beers from breweries that otherwise may not have been able to participate. Great idea! Many beers sold out on Friday and they were selling out fast on Saturday too. So much beer love. It was awesome. The lines weren't very well organized. Everyone was everywhere, sometimes you weren't sure if you were in a line or not. 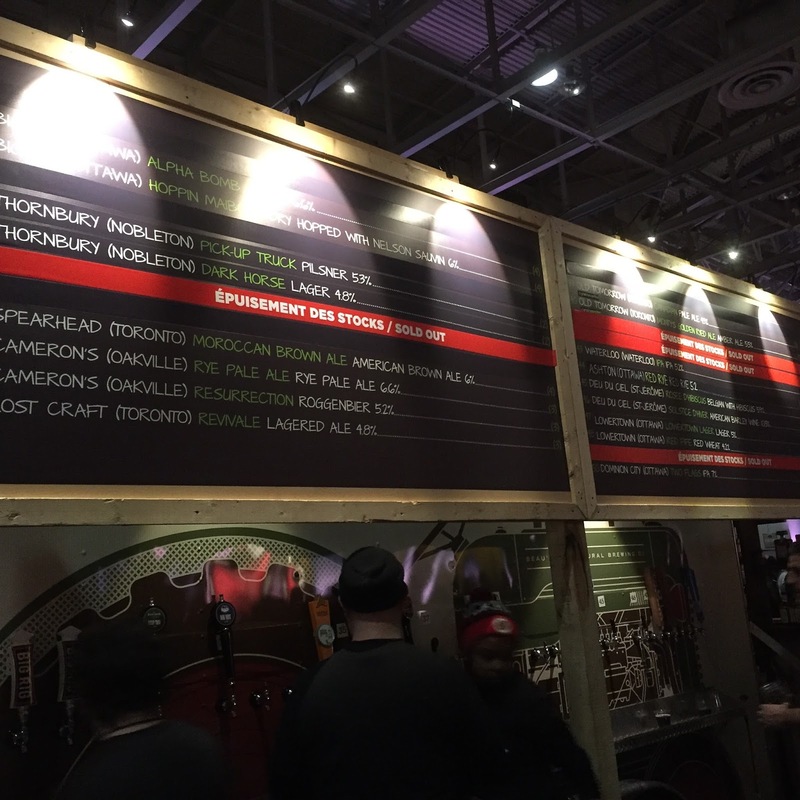 The giant keg area was especially problematic for line organization. Also, if you bought drink tickets in advance, the regular ticket booths didn't take the printouts, you had to go back to the entrance to get your advance drink tickets. A pretty smooth evening. The DJs played 80's, 90's, 2k and top 40, so the variety was good. There were only 4 food trucks, but the lines weren't crazy. There was a great variety of beer and there truly was something for everyone. Thank you for having me and I look forward to next year's festivities!